Sofía Sebastián is a Fritz Thyssen TAPIR Visiting Fellow recently based at the Stimson Center and SIPRI North America in Washington DC. Since 2006 she has been engaged in policy-based analysis as a result of her association with Madrid-based institute FRIDE. 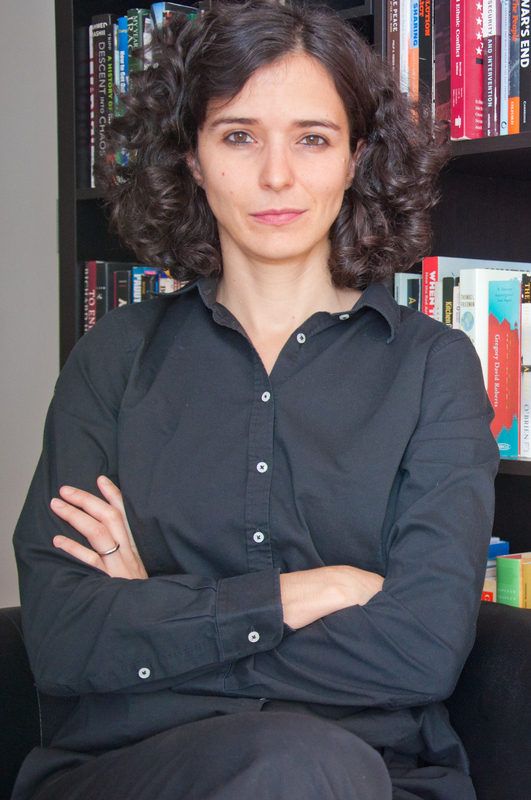 She has also held different positions at various universities and research institutes such as the London School of Economics, Columbia University and the Center on International Cooperation in New York, and has worked as a Political Adviser for the Spanish Embassy to Bosnia and Herzegovina. 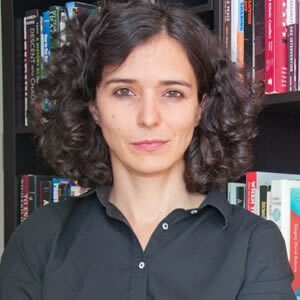 Prior to these experiences, she worked as a consultant for the World Bank in Washington D.C.
Sofía’s research focuses on UN peace operations; peacebuilding and state-building; civilian protection; conflict management; post-conflict constitution-making; EU foreign policy; the Western Balkans; and the Sahel. She holds a PhD in government from the London School of Economics (LSE). Prior to her PhD, she earned an MSc in Foreign Service at Georgetown University with a Fulbright Fellowship and received her BA in Political Science and International Relations at the Universidad Complutense de Madrid. Post-war Statebuilding and Constitutional Reform: Beyond Dayton in Bosnia, Palgrave-Macmillan, May 2014. “The Role of Police in Peace Operations: Between Peacekeeping and Civilian Protection,” Policy Brief, The Stimson Center (currently in production). “Why Peace Negotiations in Mali Will not Succeed,” International Relations and Security Network (ISN), 26 April 2015. “The Perils of Peacekeeping in Unstabilized Environments,” ISN, 12 March 2015. “Intervention and Peace Operations: Dilemmas of Internal Conflicts and Transnational Threats,” Paper prepared for the Commission on Global Security, Justice and Governance, the Stimson Center and the Hague Institute for Global Justice, January 2015. “US, Europe must not forget about Bosnia,” CNN op-ed. July 11, 2014. With William Durch, Luc van de Goor, Megan Price and Erwin van Veen, The UN’s Global Focal Point on Police, Justice and Corrections, New York: UNDP, June 2014. “Bosnia’s Logjam,” FRIDE Policy Brief 143 (January). “Constitutional Engineering in Post-Dayton Bosnia,” International Peacekeeping, 19(5): 597-611. “Breaking the Impasse: Constitutional Reform in Bosnia,” FRIDE Policy Brief 69 (March). “A New Start in the Balkans?” FRIDE Policy Brief 89 (August). “Dayton Anniversary: How Many More?” Op-Ed. New Europe, p. 6 (9-15 January). “State Building in Divided Societies: Constitution-Making in Bosnia and Herzegovina,” Journal of Intervention and Statebuilding, 4(3): 323-344. “Are European Inducements Failing in the Western Balkans?” in Youngs, R. (ed. ), The European Union and Democracy Promotion: A Critical Global Assessment, Baltimore: Johns Hopkins University Press. “The role of the EU in the Reform of Dayton in Bosnia and Herzegovina” in: Hughes, James (ed. ), EU Conflict Management, London: Routledge. “High Stakes in Bosnian Elections”. Op-ed. Euroactiv (1 October). “Seizing Momentum in Bosnia”. FRIDE Policy Brief 54 (September).